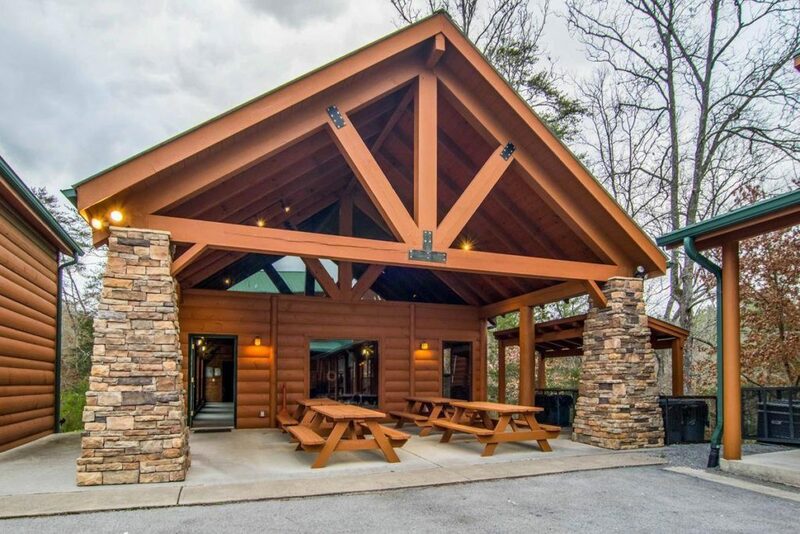 Looking for a cabin with indoor pool in Pigeon Forge or Gatlinburg Tennessee? 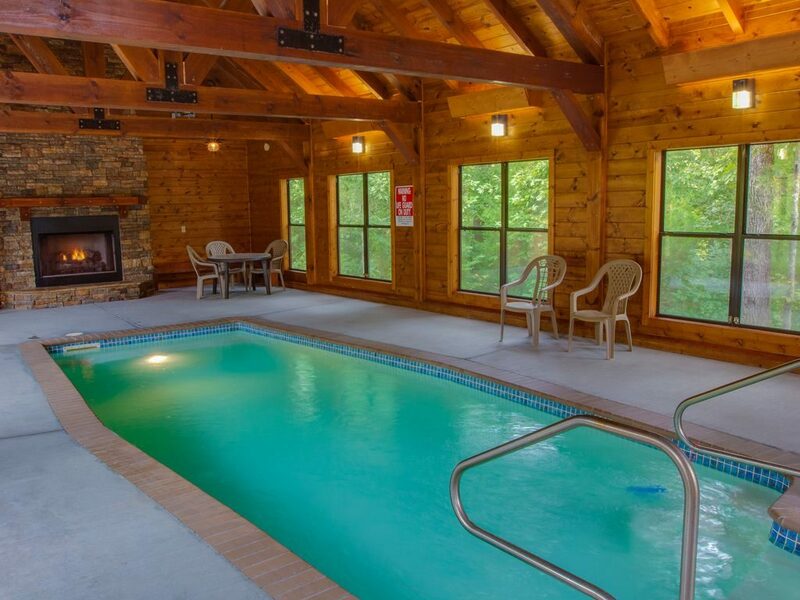 Stop looking for other indoor pool cabins, Moose Hollow Lodge has it all! The indoor pool cabin one of three buildings which are yours free when you book our large cabin. Our cabin with indoor pool at Moose Hollow Lodge is the most luxurious indoor swimming pool in the area. In the summer the pool house is cool with HVAC while in the winter you can fire up the massive fireplace within the pool cabin to make it nice and toasty. The fireplace reaches to the peak of the structure and boasts a beautiful 50″ hearth for maximum comfort and luxury. The indoor pool size is 12’x30′ and has a depth of 5.5 feet while the water is kept at a comfortable 81 degrees. To limit condensation, the pool cabin is climate controlled at industry standards for maximum comfort. Look at this Big Lodge Venue to see how to incorporate a pool in your event. Click here to see 4 reasons to plan a vacation and use our private indoor pool cabin. The area just outside of the cabin with indoor pool is group of four picnic tables. From there you can watch the kids swim and have a picnic from your BBQ you cooked on the four grills right next door. The BBQ area comes well equipped with two park style grills, one gas grill and one six foot smoker. That’s right, we thought of everything for you to have a GREAT VACATION. Got a wedding event? We have even had the indoor pool cabins decorated with some sleek designs created by some of our local vendors. Furthermore, you can visit our wedding page to get a bunch of great ideas to host your own wedding destination event. Remember, when you rent a group cabin make sure you don’t just get a place to sleep. Look for additional activities like theaters, arcade games, BBQ areas, conference centers, and this amazing indoor pool. So, just take a tour to see everything we offer. Still not convinced and need additional ways to incorporate the pool house in to your wedding? Check out our luxury wedding site to get more cool ideas. More Cabins with Indoor Pools Coming Soon!